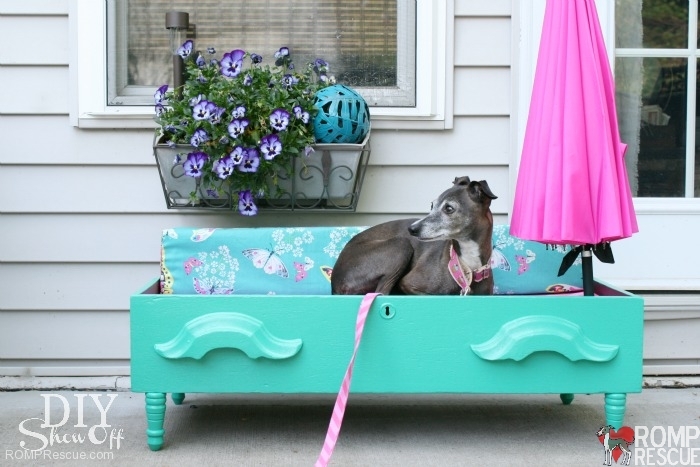 There is a very popular DIY diva named Roeshel that is also an Italian Greyhound lover and she put together this cute DIY Dog Bed out of a dresser so her iggy doesn’t have to lay on the hot concrete this summer! We just had to share her lovely creation with you! 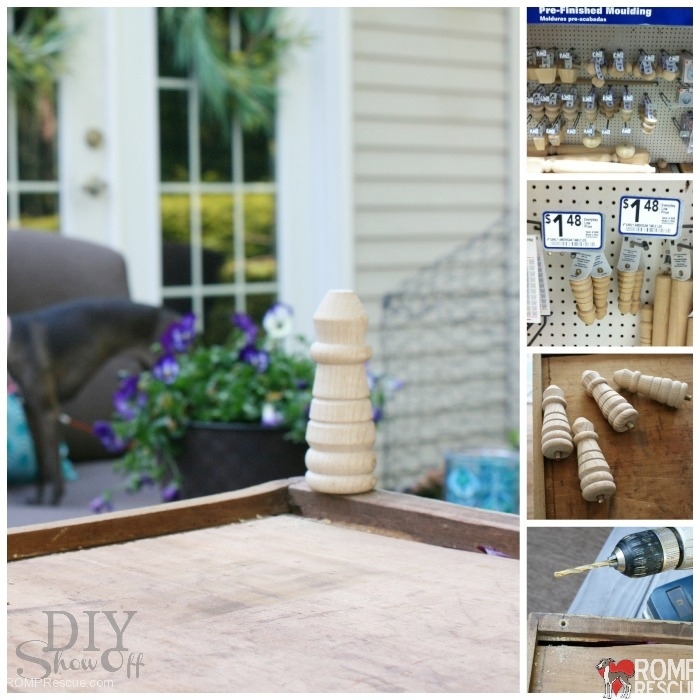 If you want to see more of her DIY projects, check out her DIY Blog here www.diyshowoff.com! 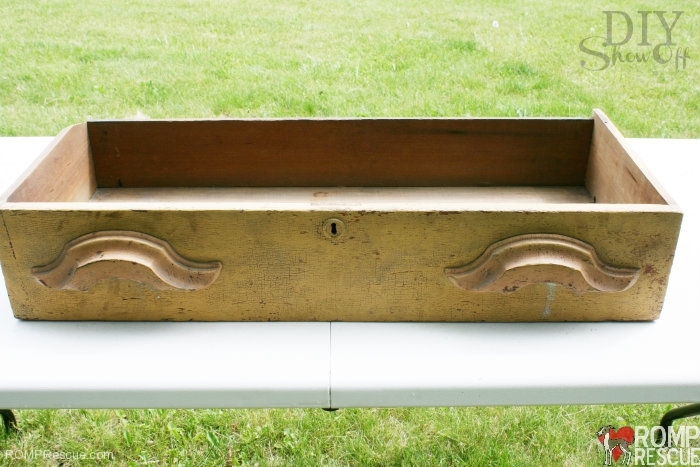 1.Remove the hardware and clean the drawer, make sure you sand it if there are any rough spots. 3. 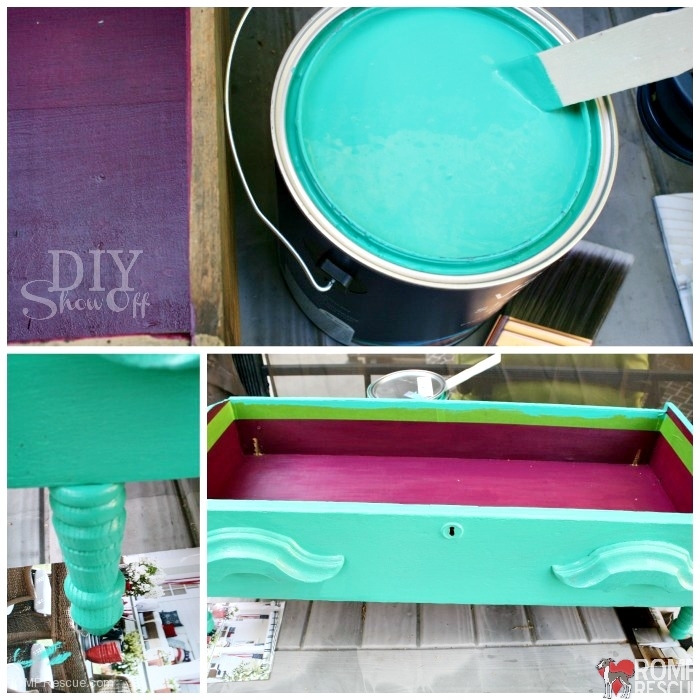 Paint the inside, outside, feet and edges of the drawer. Make sure the hardware is removed. She picked some trending complimentary summer colors for the inside and outside but you can do as you wish. Use the painters tape to block off certain areas as you paint others or you can forego it if you think your hand is stead enough! 4. Place inside the drawer the cushion (you can make it yourself or buy one) and the back rest (you can make it yourself or buy one). 5. If your cushion is snug, the parasol/umbrella might stay in place in the corner of the dresser bed. Otherwise, use a horse clamp or pipe strap to hold it in place. 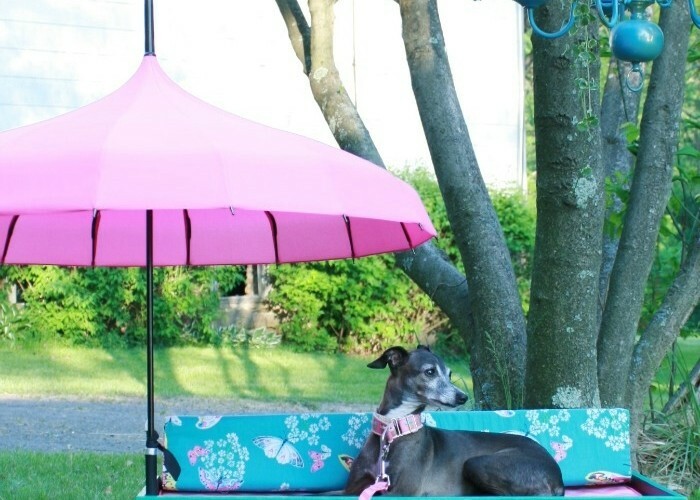 Thanks Roeshel and her iggy Coco Rosie for sharing this wonderful project with the world and helping Iggies everywhere stay off the hot concrete and out of the sun! Send her some love and check out her FaceBook page here. DIYShowOff post with this project can be found here. 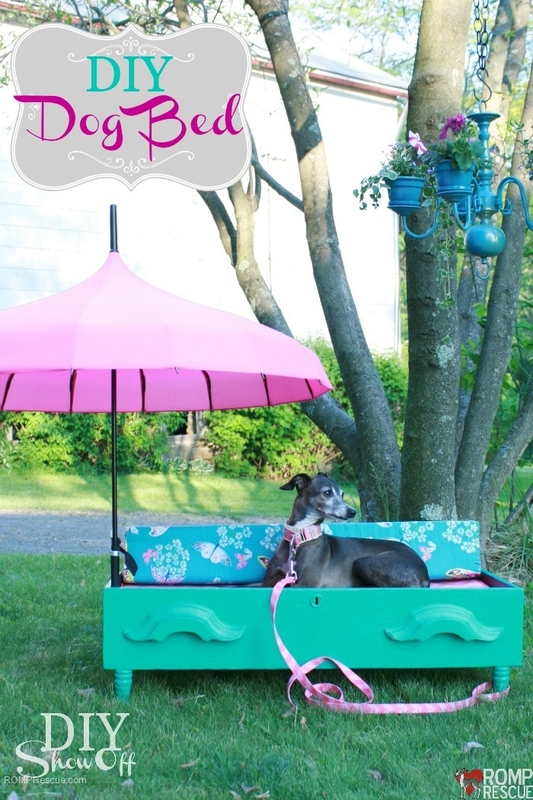 This entry was posted in ALL, Pooch Projects and tagged chicago, dig doggy bed, diy, diy dog bed, DIY Dog bed dresser, diy dresser bed, diy italian greyhound, diyshowoff, diyshowoff.com, do it yourself, dog bed, doggy bed, dresser drawer, hand made, handmade, home made, homemade, ig, iggy, instructions, italian greyhound, italian greyhound bed, paint, project, rescue, step by step, summer, umbrella. Bookmark the permalink.